Whether you need storage for extra furniture, household goods, office furniture, business records, products or other items we can assist you in storing these items in our new 95,320 sq. ft. storage facility. Palletized secure storage is available for short term or long term customers. Contact us for a quote on storage. 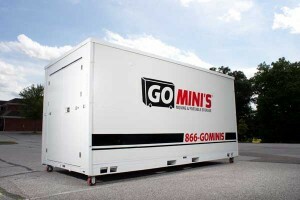 We are franchisee for GoMini’s. Whether you are moving to a new home or just need temporary storage space a GoMini’s Container can be delivered to your driveway and used as you need it. We deliver the container, you load it and we pick it up. Store at your residence or in our warehouse.